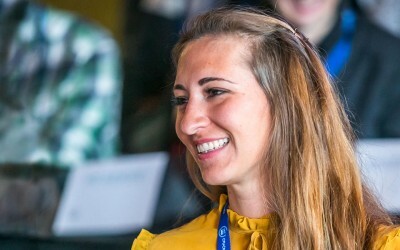 A superb portrait of Ashley Castellanos Jankiewicz (Cota team) on the University of Bordeaux website. 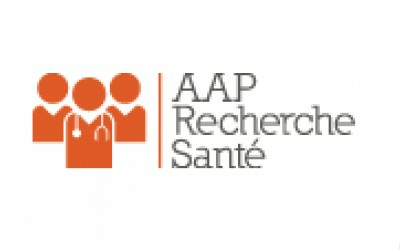 5 projets de recherches retenus par l'ANR dans le cadre de l'appel à projets générique 2018 (et 4 en liste complémentaire). Bravo aux équipes du centre et en particulier à Nathalie Sans, Daniela Cota, Giovanni Marsicano, Cyril Herry, Cyril Dejean et Xavier Leinekugel. On croise les doigts pour Daniel Voisin, Émilie Pacary, Gwendal Le Masson et Luigi Bellocchio. 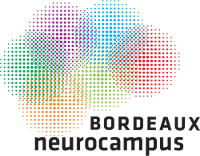 We are searching a highly motivated Postdoctoral researcher to join the research team led by Dr. Daniela Cota at the Inserm Unit 1215, Neurocentre Magendie (http://www.neurocentre-magendie.fr/cota) in Bordeaux, France. The research focus of the team is the study of the neurobiology of obesity and diabetes. The project that the successful candidate will carry out aims at determining how nutrient-sensing mechanisms related to bile acids act within the hypothalamus and define their role in diet-induced obesity. Use of stereotaxic surgery and chemogenetics, associated with in vivo behavioral and metabolic assessments coupled with molecular biology and neuroanatomical analysis are the main approaches required. Candidates should have a doctoral degree in neuroscience/neurobiology/nutrition/metabolism. Previous experience in the study of hypothalamic neuronal circuits involved in the regulation of energy balance and metabolism using rodent models is strongly preferred. Ability to work both independently and cooperatively within a team is essential. The appointment is for 30 months. The position is available starting January 2018 and is funded by the ANR. Candidates should send their CV, motivation letter, list of publications and 2 letters of reference to Dr. Daniela Cota (daniela.cota@inserm.fr). We are currently searching a highly motivated Postdoctoral researcher with experience in electrophysiology for a project focusing on the study of the role of hypothalamic-mesolimbic neurocircuitry in the development of diet-induced obesity. 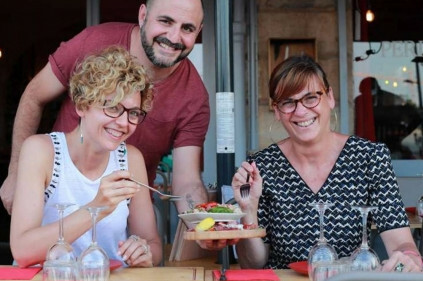 This project will be jointly carried out in the laboratories of Dr. Daniela Cota (Inserm U1215, Neurocentre Magendie, Bordeaux, France http://www.neurocentre-magendie.fr/cota) and Dr. Xavier Fioramonti (NutriNeuro, INRA UMR 1286, Bordeaux, France, https://www6.bordeaux-aquitaine.inra.fr/nutrineuro ), which both investigate the neurobiological mechanisms of obesity and diabetes. Patch-clamp electrophysiology associated with the use of optogenetics, molecular biology and neuroanatomical analysis are the main approaches that will be used in the project. Candidates should have a doctoral degree in neuroscience/neurobiology, and recognized expertise in patch-clamp electrophysiology. Previous experience in the study of neuronal circuits involved in the regulation of energy balance using rodent models and in the use of optogenetics coupled with electrophysiology is strongly preferred. Ability to work both independently and cooperatively within a team will be essential. 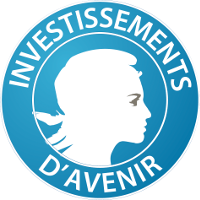 The project is funded by the Labex Brain (http://brain.labex.u-bordeaux.fr ). The postdoctoral contract will be for a period of 18 months. 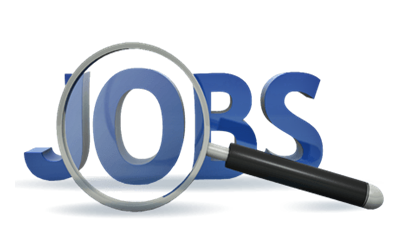 Contact: Candidates should send their CV, motivation letter, list of publications and 2 letters of reference to Dr. Daniela Cota (daniela.cota@inserm.fr) or Dr. Xavier Fioramonti (xavier.fioramonti@inra.fr). Suite au débat organisé par l'Inserm à la Maison Éco-citoyenne, Daniela a été interviewée par Isabelle Castéra du journal Son-Ouest. 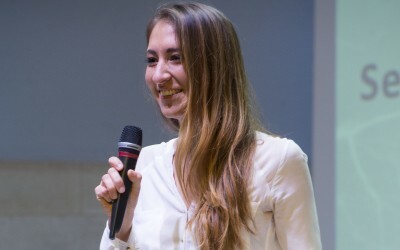 Retrouvez Daniela Cota dans un débat sur les effets de la mal bouffe sur notre cerveau. 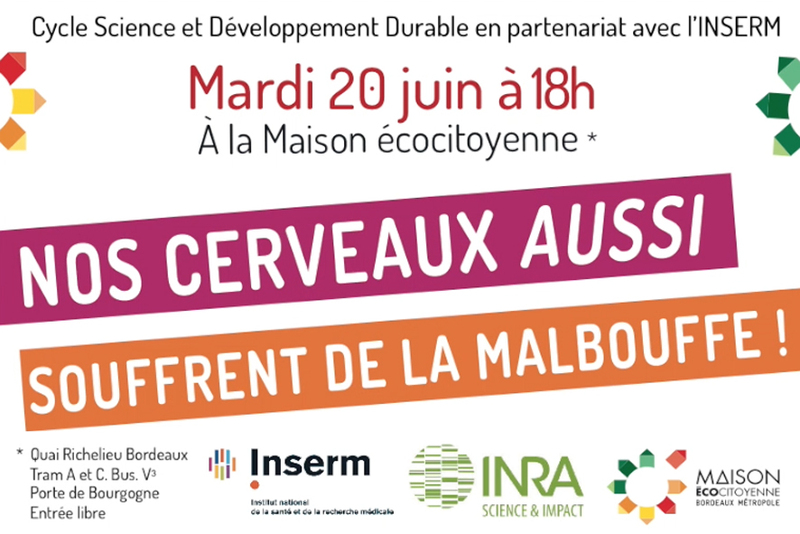 Débat organisé par la Maison Écocitoyenne de Bordeaux en partenariat avec l'Inserm et l'INRA le 20 juin 2017 à 18h.